I get asked a lot about ways to get started investing in high school. That’s a tough question, because I’m a firm believer that you should start investing as early as possible. However, it’s really a bad decision for minors to own stocks. I think if you’re going to teach children how to invest, you need to start with how investing via a low cost index fund is the way to go (just look at Warren Buffett). Only then should you teach them to look at individual stocks. So that doesn’t mean that you can’t get started investing in high school! It just means getting them started the right way investing in high school! Minors can own stocks in their names (contrary to popular belief). Minors cannot open a brokerage account, because they cannot sign legally for themselves and transfer agents cannot accept the signature of a minor to complete any transactions. Minors can have custodial accounts (UGMA accounts) opened in their name. Minors can have a Roth IRA if they have earned income. This may sound counterintuitive, but realize that there is nothing to prevent a minor from owning a stock. However, the minor cannot complete the transaction on their own — they have to have their legal guardian do it. If the stock is in the minor’s name, neither the guardian nor the minor can conduct any transactions with it. That’s why UGMA accounts were created. The assets (stocks) held in the account are in the minor’s name, but the trustee listed can conduct transactions on the minor’s behalf until they are of legal age to conduct transactions for themselves. How can minors open a Roth IRA then? Well, technically the Roth IRA is just an account . . . so there doesn’t have to be any investments made. The only qualifier for a Roth IRA is having earned income that meets the specified adjusted gross income (AGI) limits. Just like the UGMA account, a parent or guardian must act as the custodian until the child is of age. The other great part of the Roth IRA is that it doesn’t technically matter who contributes — so a parent or other relative could also contribute to the Roth IRA on the child’s behalf. TD Ameritrade, my brokerage of choice, offers UGMA accounts and custodial Roth IRA accounts for no investment minimums or annual fees. TD Ameritrade is also great because they offer a great step-by-step package for parents and teenagers. Another great app for getting started investing early is Stockpile. Stockpile makes investing in individual stocks really easy for kids (for example, they call Mattel Barbie), and they also give you $5 in stock for free for signing up. Check out Stockpile here. Skipping the legalities, most teens just want to experience investing. Parents and teachers can help with this. At home, if children have accounts set up in their name, start letting them see the investments and even having a say in the decision-making process. This can be a great teaching opportunity, and can also teach real responsibility. Letting teens start to handle their own investments will set them up for long-term success. If they don’t have an account, maybe now is the time that you open one for them to invest in. Let them learn about the stock market and actual investing. If they have some money saved up, you can open them a UGMA account if they have no income, or a Roth IRA if they have a summer job that paid them W-2 or 1099 earned income. Then, let them research and invest in a company or index fund of their choosing. Help them monitor their positions, and teach them about dividends, capital gains, and taxes. Finally, I also recommend that parents share their own investment accounts with their children and explain to them what they are, and how they work. Show them your 401(k), IRAs, brokerage accounts, and anything else you have. Information is power, and teaching your kid how to invest early is a smart move. We’ve highlighted here colleges that have hedge funds, but now, many high schools are opening funds for their students to learn and invest in. Plus, FINRA has a 4-H program that is designed to educate high school students on investing, stocks, and other aspects of personal finance. Programs like these can get your high school student starting to think about investing, and do it in a way that is legal, and useful! I know when I was in high school, my parents showed me and gave me access to several UGMA accounts that were opened in my name by my grandparents when I was a baby. For the most part, that money sat there and my parents didn’t do anything with it. However, they taught me how to track the performance of the funds, and helped me set up Quicken for the first time. I was hooked on personal finance ever since. I strongly recommend getting starting investing in high school, even if you only have $100 to start. Understanding by doing it is so important. It also put me on the track to financial independence in my 30s. The earlier you can start investing, the better it will be for your children to learn how to build wealth. What are your thoughts on getting started investing in high school? 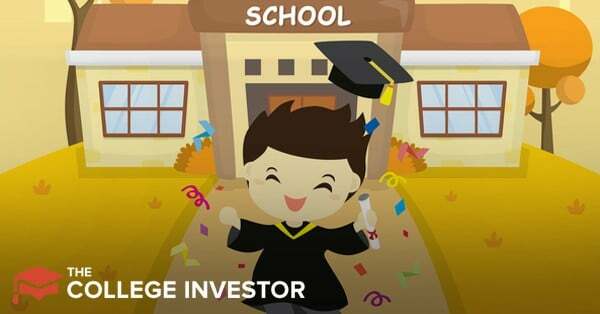 The post Learn How to Get Started Investing in High School appeared first on The College Investor.